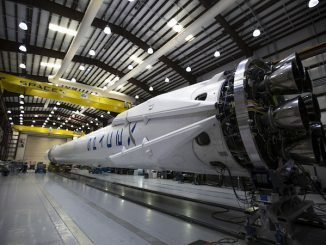 SpaceX called off the planned launch of a Falcon 9 rocket Saturday less than 15 seconds before liftoff to investigate the “slightly odd” behavior of the vehicle’s upper stage engine steering system, company chief Elon Musk said. 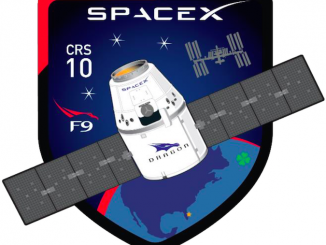 Watch as the launch of a Falcon 9 rocket on a space station resupply run is aborted 13 seconds before liftoff when ground controllers were alerted to a potential problem with the vehicle’s second stage steering system. 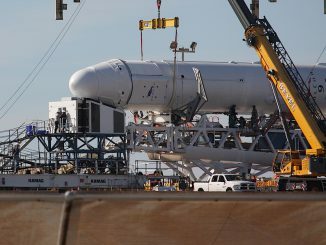 These photos follow the Falcon 9 rocket and Dragon spacecraft through a final rehearsal, the late stowage of cargo, and finally the lifting of the launcher vertical atop pad 39A at NASA’s Kennedy Space Center in Florida. 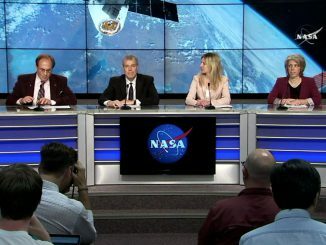 Watch a replay of the pre-launch news conference for the SpaceX CRS-10 space station resupply mission is held at the Kennedy Space Center Press Site on February 17, 2017. 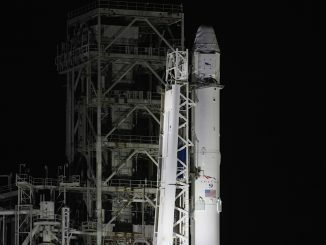 Engineers clad in clean suits finished stowing last-minute cargo into SpaceX’s Dragon supply ship Friday, including 40 mice and bacterial research specimens, a day before it is scheduled to blast off to the International Space Station in the first flight from the Kennedy Space Center’s historic Apollo-era launch pad 39A since 2011. 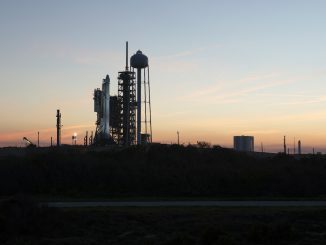 SpaceX’s Falcon 9 rocket will go from the Kennedy Space Center to low Earth orbit in 10 minutes Saturday with a Dragon capsule heading for the International Space Station carrying nearly 5,500 pounds of supplies and experiments. 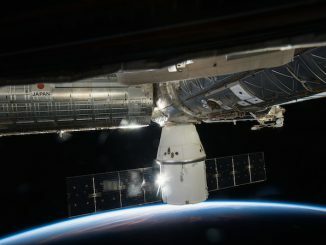 A day after aborting a rendezvous to resolve a navigation glitch, SpaceX’s Dragon cargo craft made a smooth final approach to the International Space Station on Thursday, floating in range of the research lab’s robot arm for capture at 5:44 a.m. EST (1044 GMT). 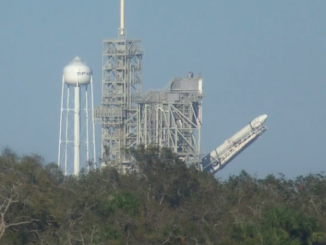 SpaceX’s Falcon 9 rocket is again standing on launch pad 39A at NASA’s Kennedy Space Center in Florida, this time with a Dragon supply ship on top ready to head on a resupply run to the International Space Station. 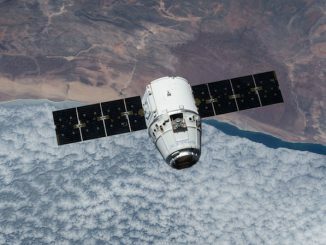 The 10th dedicated cargo delivery mission by SpaceX’s Dragon spacecraft, and the first to liftoff from launch pad 39A at NASA’s Kennedy Space Center, will carry more than 5,000 pounds of equipment to the International Space Station. 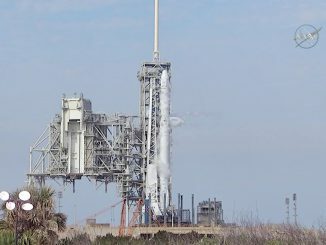 Rainy weather expected across Central Florida this weekend has a 50-50 chance of preventing the launch of a SpaceX Falcon 9 rocket Saturday on a resupply mission to the International Space Station, U.S. Air Force forecasters said Wednesday.